Our Fomo integration will allow you to start showing notifications on your site whenever someone enters one of your promotions. 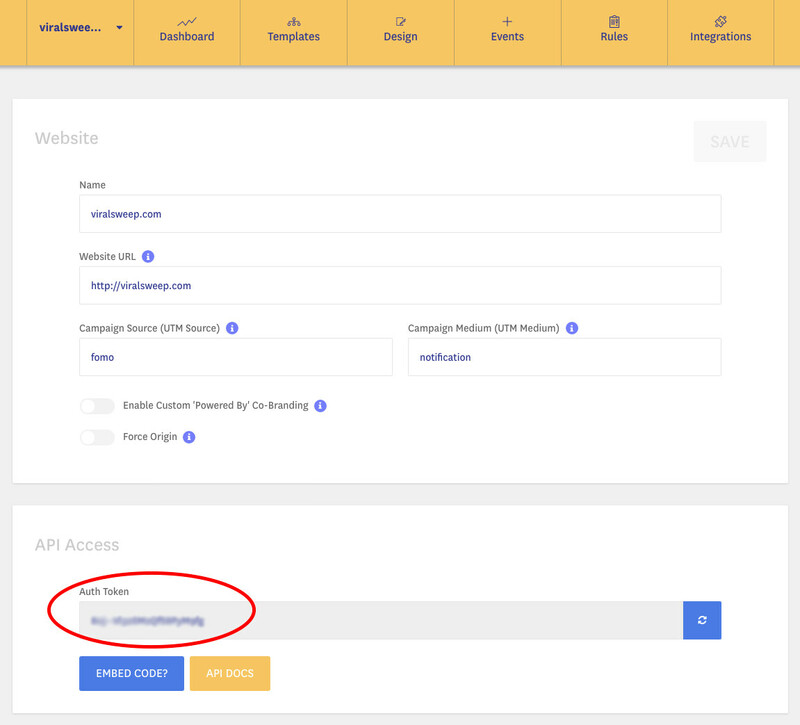 Within your Fomo account, click on your website name, then at the bottom you will see your Auth Token. Copy it. 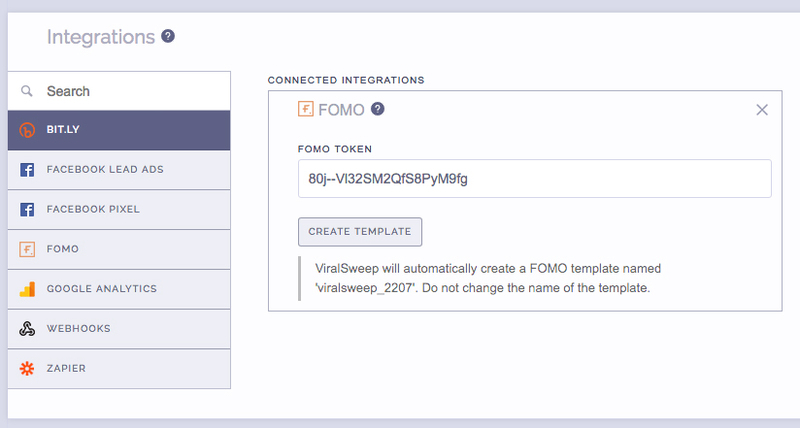 Edit your ViralSweep campaign, and paste in your token under Integrations > Fomo. Next, click on the Create Template button and we will automatically create a new template for you within your Fomo account. Once your campaign is set up, run a live entry through your ViralSweep entry form, while at the same time watching Fomo on your site. You should see the notification appear, alerting you of the entry. That's it, your campaign is connected to Fomo. If you want to modify the preset notification message, you can do so by editing the template in your Fomo account. Your Fomo Auth Token that you put into ViralSweep is incorrect. Try inputting it again. Check your Fomo display settings, as the behavior options may be preventing notifications from appearing properly due to display times or delays. Still having trouble getting Fomo to work? Simply click the support or live chat icon to get in touch with us.